Thanks for stopping by for your daily dose of inspiration! My mom sent me a box of photos to put in scrapbooks. She sent it over a year ago and I'm still working my way through all the lovey memories. I have two albums for her -mostly finished- one for family and one for her travels. But there were so many photos. I'm not sure yet if I am going to start another album for her, or just keep an album for myself. My mom, (formally known as The Mom Stalker- because she reads the blog and never comments) likes purples, floral patterns (preferably in shades of purple) and fairies. I was able to make some of the photos she sent fit her purple standard, but old photos are so difficult to frame and match colors and theme. 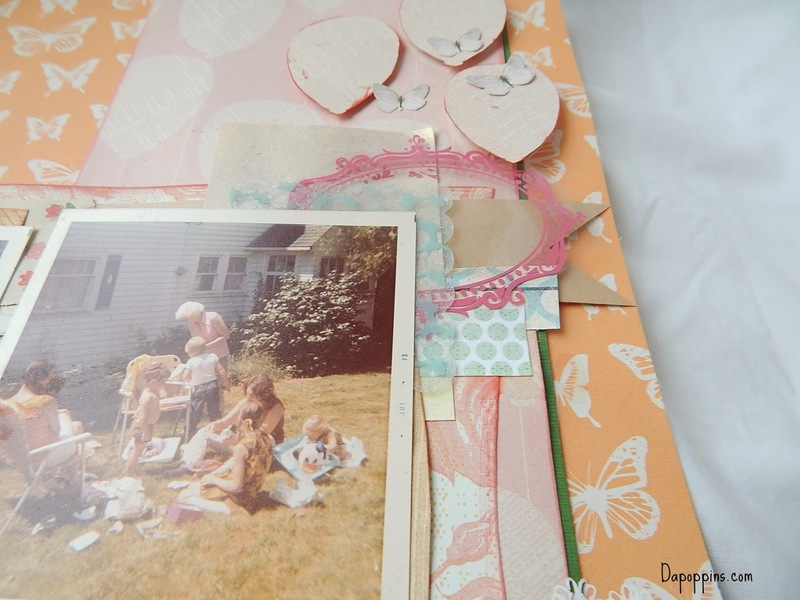 Despite there being loads of wonderful vintage themed scrapbook papers, I still struggle with pairing papers with photographs from the 60's and 70's. I use a mix of old and older supplies. Almost everything I buy is on sale or from a discount place. 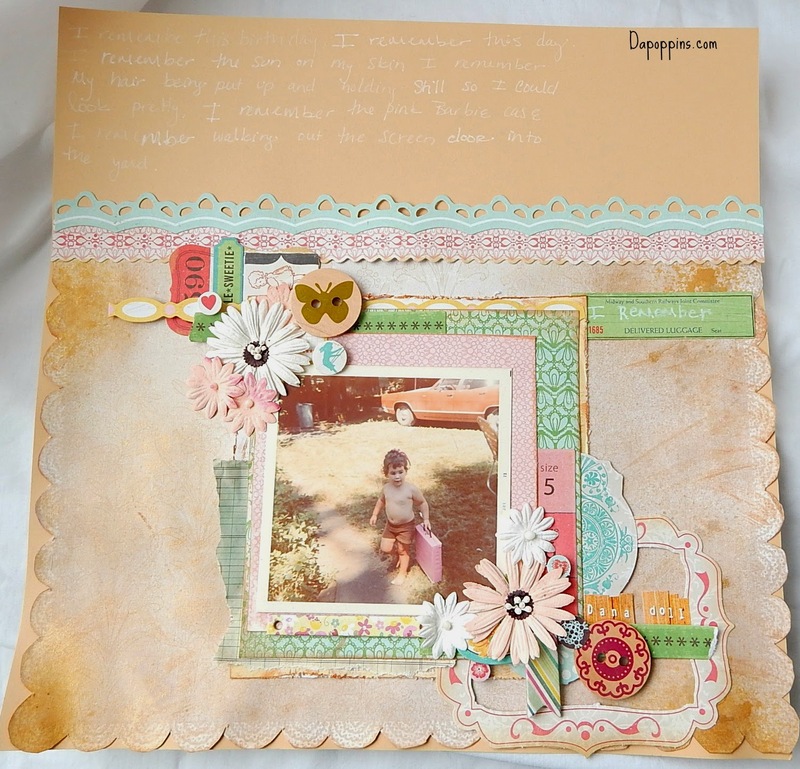 I love peachycheap.com, scrapbook.steals.com, and craftysteals.com. Also, my local JoAnn Fabric, may not have the best selection of recent paper releases, but they always have a 40% off coupon or something on sale for 40% off. I've noticed fewer companies are making rub-on's now. Or at least not making as wide a selection. And I love them! The splotches on the page are on purpose. My husband was kind of mystified by that, but I liked the idea of some messy texture. 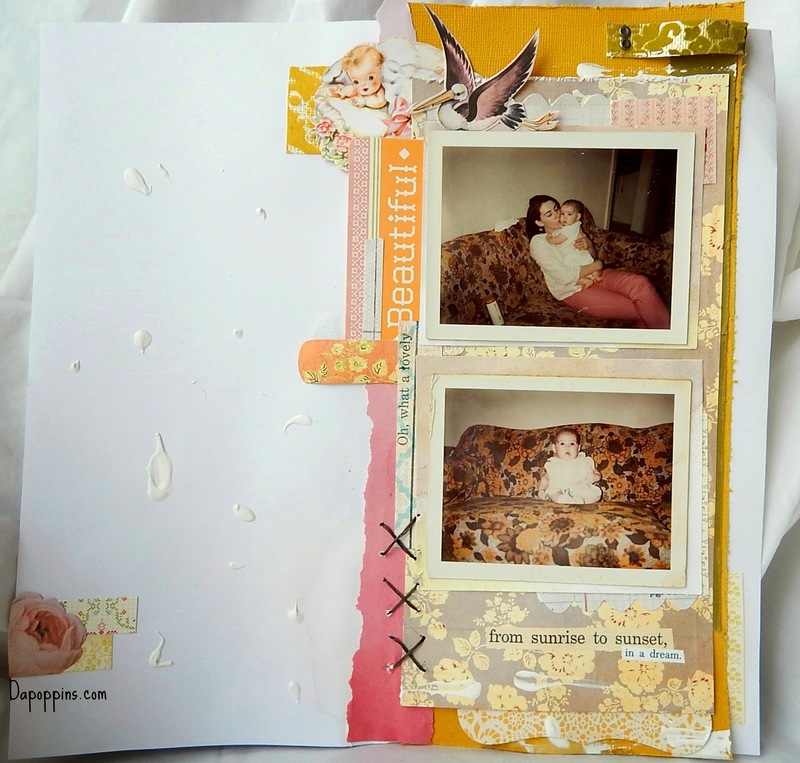 There are some swipes of gesso at the bottom and top of the photo block too. 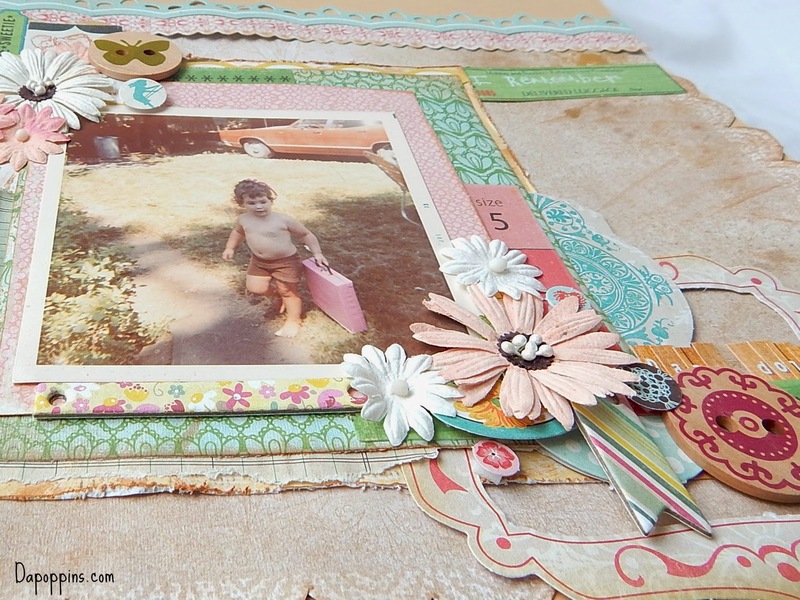 A special touch to this page is vintage flocked wallpaper I bought off of etsy. My grandmother had flocked wallpaper. I know some people thought it was gaudy even then, but I loved it. I thought it was so very elegant. Now it reminds me of my childhood. I have a lot of photos of my brother and I seated on this couch! I'm sure I'll be posting more of them. 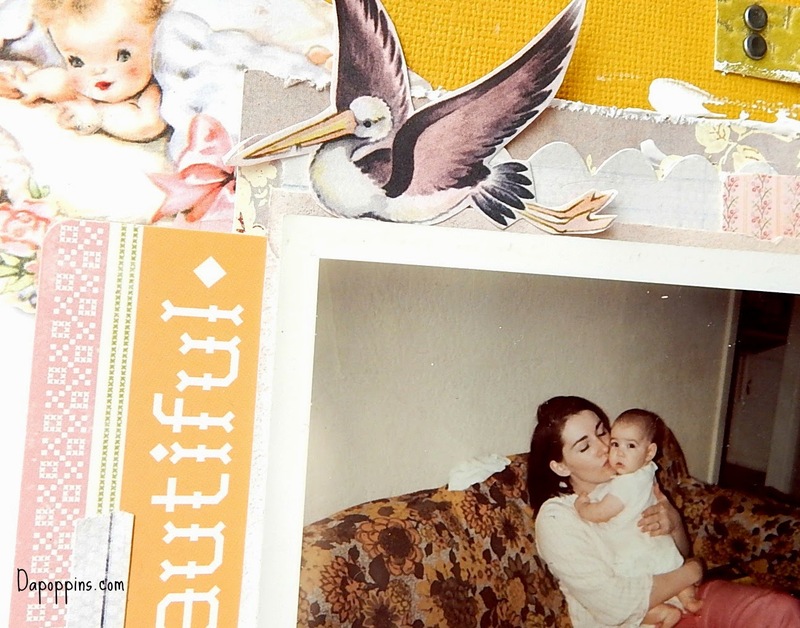 How have you scraped your old photos? I would love to see! 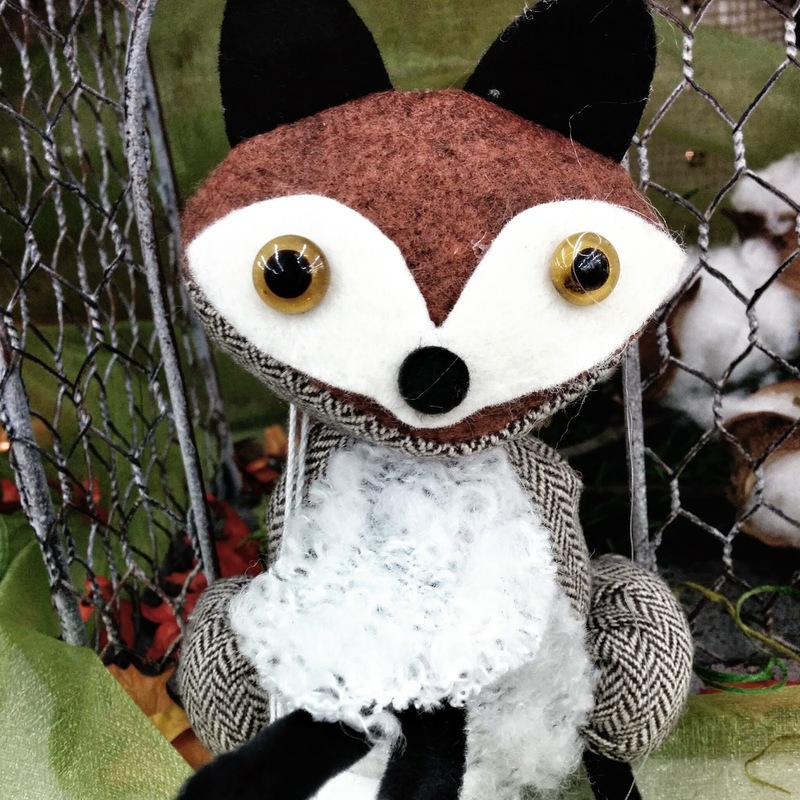 Don't forget there is great inspiration for cards, scrapbook layouts, mixed media, and all sorts of crafty goodness over at Party Time Tuesdays, as well as a fantastic weekly challenge where you can win prizes! I used to have a couch almost exactly like that one!! Ha! Brings back warm & fuzzy memories. I love that you've scrapped some older pics. I really need to do some myself. I can't keep up with the current ones though! Thanks for being on our PTT team!